I've now reached the heights of The Next Generation's sixth season and another classic two-parter in the form of Chain of Command. 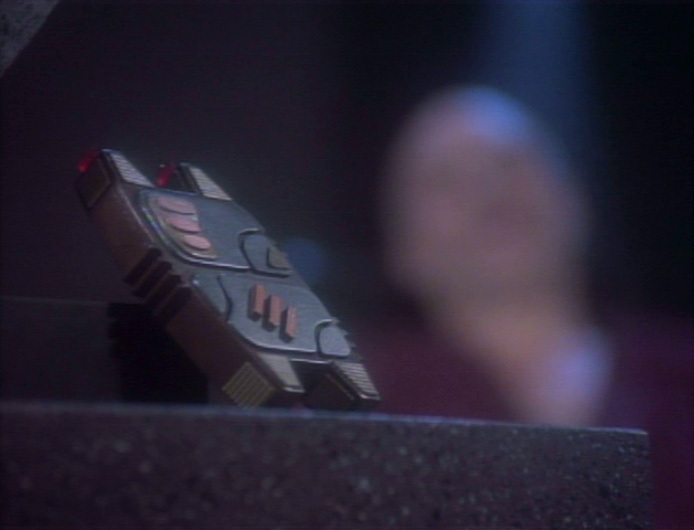 Notably the piece is remembered by fans for Captain Jean-Luc Picard's insistence that there are four lights shining down on him during his torturous interrogation at the hands of Cardassian Gul Madred. However, what I find even more interesting and is not immediately obvious during the story, are the interpretations of command that we see throughout. Unusually there are several senior officers involved in this story. We have Commander Riker, his nose out of joint at being passed over for command of the Enterprise; Picard, displaced from his ship and in charge of a small group of officers on a remote planet and Lemec, the cold Cardassian in charge of a hidden fleet. We can even manage a cameo appearance from Admiral Necheyev to add further weight to the title. Then there are the two we're going to be concerned with in this blog - Gul Madred (David Warner) and Captain Edward Jellico (Ronny Cox). Their styles of command are the elements which drive this story more than any other. Their decisions as well as their mental and physical presence make them fascinating to dissect and discuss. Jellico plays much more of a mentally aggressive game than Picard would ever attempt, effectively turning into a loud, demanding bully at times to make his demands heard and met. He certainly has no time for sitting back and providing a more relaxed atmosphere aboard ship. He makes the Cardassians wait and places himself into a physically dominant position very quickly using his senior staff to placate their visitor, Lemec. 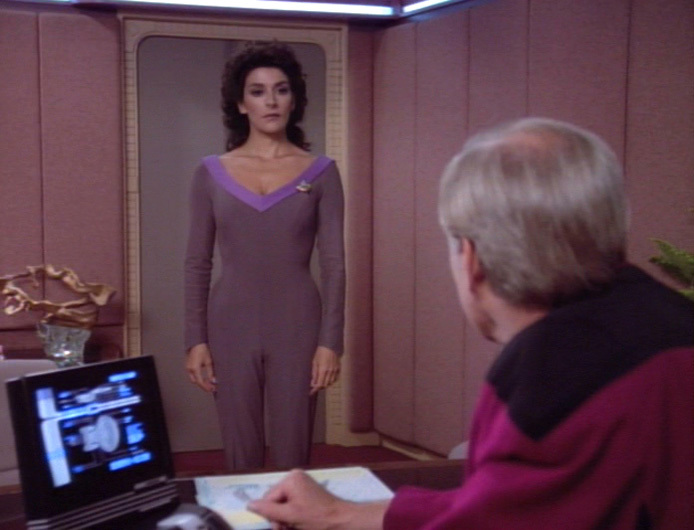 In fact Troi reveals to Riker that Jellico is far from confident in his abilities, relying on this mental play and a touch of arrogance to take the lead. Perhaps this shows him as superficial and I don't think we see the real Jellico until his candid conversation with Riker towards the second part's conclusion. His abrasive no-compromise style sees Counselor Troi ordered to don her duty uniform for the first time in six years and even Data in command red as soon as Riker is relieved of duty. Jellico's insistence on protocol is, in this respect, second to none and he has no time for dawdling during his short tenure in command. We've never had uniform changes made this quickly and it doesn't stop there. Crew rotation goes from three to four shifts from the second he steps on board, there are a heightened number of drills and the new Enterprise captain pushes the ship and crew to its limit. He even rebuffs advice from the out-going Picard, further demonstrating a level of arrogance not seen before in a commanding officer. His relationship with Riker never develops beyond a recognition of rank because the views of the two are so diametrically conflicting. The negotiations with the Cardassians are straight-forward, argumentative and there's no backing down from Jellico when he confronts them, even after making apparent "concessions" that he had anticipated. Using mental plays, Jellico stands as the aggressor but comes across as slightly unstable and unsure of his abilities in such a high profile position. One which places his crew out of sync and themselves uncertain as to how to deal with the new captain. 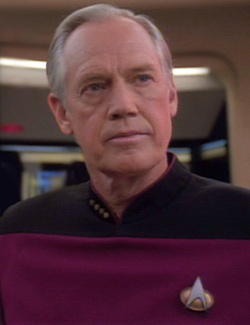 In some ways Captain Edward Jellico is very similar to Gul Madred. In the case of the former his focus is the Cardassian fleet while Madred's is the isolated Picard. Both begin their approach as the dominant party through both mental and physical plays; making an aggressive stance to impose their dominance. 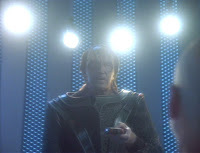 Madred however goes just that bit further, stripping Picard of his identity as well as his clothes, leaving him to hang from his wrists for the night before beginning the interrogation proper. 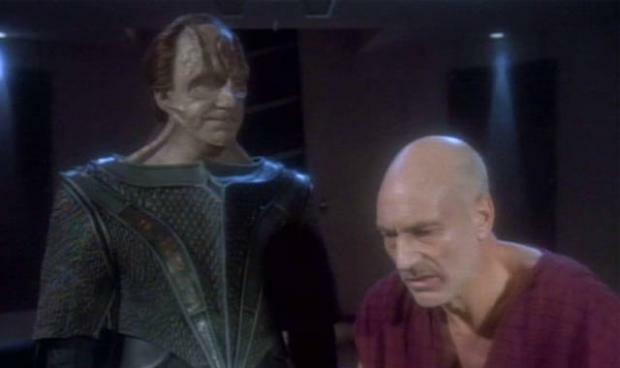 What we do see differently between the Cardassian interrogator and his Starfleet counterpart is that Madred truly believes in what he is doing at this stage while Jellico is, as Troi noted (and we have too), not that self-confident. Madred remains calm in his approach to the task at hand, knowing he is in command of the situation from the very beginning as Picard is in every way a fish out water. He never overtly showing it through his mannerisms, keeping the initial interrogation placid if not due in part to the drugs which he has among the tools of his "trade". Perhaps this is our first sign of the differences between the two as Jellico is forced to push more to the mental extremes to deal with his challenges while Madred can rely on more technological and medical advances to do his work for him. With the introduction of the pain-giving device there is no requirement for the Cardassian torturer to act as dominant party because of this factor. He no longer has to act as though he is in control because there are many methods to suppress and control Picard that aggression is not essential; he has a device with this pain-giver that acts as both threat and deterrent. Jellico too introduces such an instrument with the mines that he has Riker lay around the Cardassian ships. While it is one demonstration there which puts their foe on the back-foot Madred's continued and perhaps overuse of his torture methods act to show Picard that he is not the one in control. 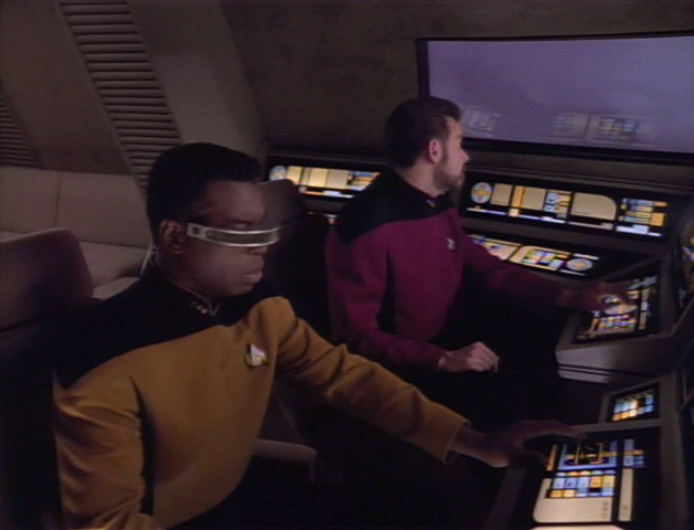 He is hiding behind his technology because the Enterprise captain is himself a fish out of water with nowhere to go. Indeed, the threat of torturing Beverly (even though the viewer knows she has escaped) forces Picard to remain and sustain further barbarism. Where the change comes in their command positions is in how the relationships with their opponents continues. 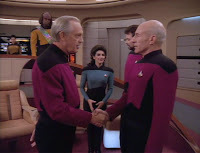 Madred, as with Jellico, is a family man but the visit of his daughter to the torture chamber containing Picard creates an uncomfortable moment where these two worlds are in severe conflict. 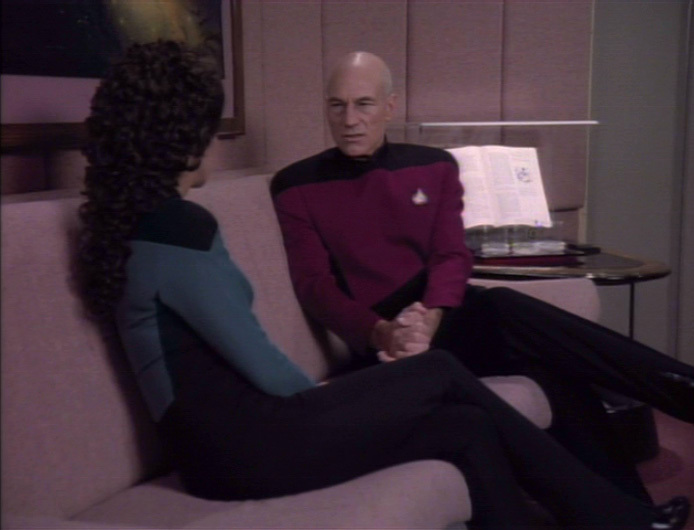 He even openly discusses Picard with her before she departs with her pet. Jellico on the other hand retains pictures by his son but family ties are clearly kept separate from duty and is another suggestion that he would fit into life aboard the Enterprise even less so than his predecessor. Why? Because while Picard was never the greatest fan of children he still accepted that they were on-board the ship and a part of life whereas Jellico has demonstrated that he is distinctly separate to his close family. Why this is we cannot be certain and it may be that they are still aboard his former ship, the Cairo waiting to transfer if the move was more permanent - or are they separated/divorced? The point I'm making here is that we never really get to know Edward Jellico. He keeps a brash distance, remaining business-focused even though there are hints of a more personable character through his chosen decoration of the Ready Room. None of Picard's additions are retained and we find that Jellico's decoration retains a look of formality with oddly out of place children's drawings which seem to contradict everything we see about him. Madred's more placid, conversational style linked with his ability to inflict pain on a whim contrast against Jellico who must continue to tow the line but one thing that the Starfleet captain never does is introduce his enemy to his personal side. This is where the commanding position that Madred has throughout the interrogation is lost because he lets Picard into his life and the status quo is shattered in a few lines of dialogue. 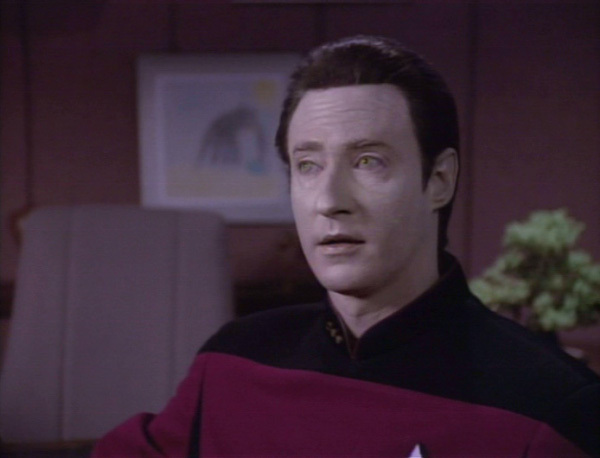 Picard from this point on sees him as a weak child unable to defend himself and ultimately pitiable. There we see Madred's weakness - he is a bully and perhaps not one fit to be in a position of command. 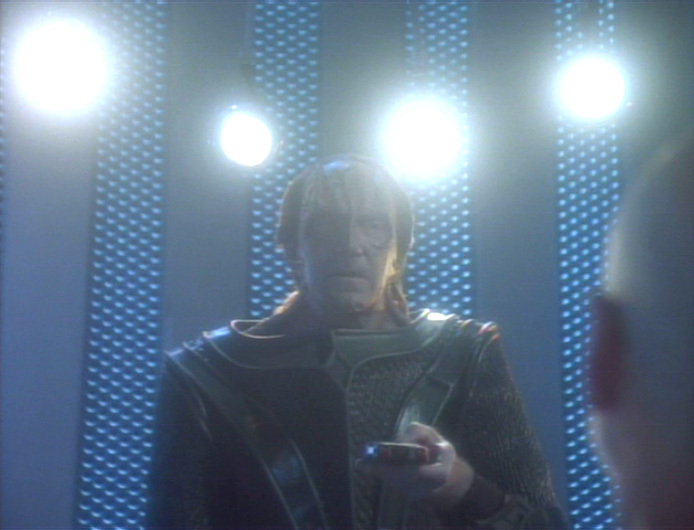 All Madred has at the end is the ability to inflict pain and that, ultimately would have led Picard to say there were five lights. Now his counterpart, Jellico, retains the respect of his opponents but it may be that his conflict of command is closer to home than that of the Cardassian Gul torturing the Enterprise captain. Will Riker I think is his sparring partner and more abrasive challenge than the Cardassians. Interestingly the XO is direct enough to tell him that Jellico is a poor captain (probably in comparison to Jean-Luc) but they have to lay aside their differences for the success of the mission as Jellico needs their best shuttle pilot - Riker, of course. At the end essentially both the characters under the microscope ultimately fail in the bigger picture. Jellico gets relieved of command in a much quicker and less ceremonial manner than he received it. While he has achieved the withdrawal of the Cardassians and the return of Picard he ultimately crumbles at managing the crew of the Federation flagship. Madred meanwhile loses control of the interrogation of Picard because he fails to get results and not because of the person he is. He tried everything to break his prisoner but one minor slip and the slightest reveal of a personality beneath the torturer's armour and his grasp was lost. Now I for one quite enjoyed seeing the Enterprise managed in a different manner. Perhaps the one thing that this does show us is how much of a "family" this crew have become as they clearly take an instant dislike to Jellico because he changes the dynamic. It's funny in a way that they can't adapt to a new style when this would surely be an absolutely essential quality when working in Starfleet and they have done many times before (pick an episode and this will probably ring true!). 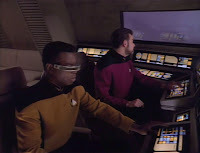 Riker's insubordination for one illustrates that maybe it isn't time for him to take a command and serving as first officer under another captain might be the perfect chance to learn some new skills. A unique chance to see a shake-up of the usual The Next Generation playing field, Chain of Command is more about the strengths and weaknesses of its guest cast bouncing off the familiar series regulars. Madred is an excellent character who ultimately is defeated by time and the actions of, funnily enough, Jellico. Perhaps one appearance for this interrogator was just enough for us to stomach. On the other hand I would have loved to have seen the character of Edward Jellico return in this or DS9 to really flesh out his background. With this second watching I fully appreciated him more as a character than as a distraction to the overall story. As I've just said, the conclusion of Chain of Command is due to him more than any other character. He puts the plan involving Riker and the shuttle into play and forces the Cardassians to return Picard. Jellico's exit is uncomfortable and rushed to place Picard back in command of the flagship and it's a shame he isn't recognised as the saviour of the hour that he actually is. We are influenced in that decision as a viewer by our ongoing relationship with the principal cast, this is still a disappointment as is the lack of ongoing fallout from Picard's experience as previously with Family but then this could have easily turned into a carbon copy of that installment. Deep Space Nine would have managed to eek out the repercussions for weeks if not seasons! Perhaps this episode also raises the query about which other The Next Generation guest characters we would have wanted to see for a second time and in which series (or even season seven of this show)? Would we have welcomed the Conspiracy aliens one more time or wanted to find out what happened to Lal? Maybe one day we'll see Captain Edward Jellico again (most likely in print) and get to know what exactly made him tick. Here's a suggestion to anyone considering it; "Get it done".